The PetSafe Solvit HoundAbout Stroller Conversion Kit easily converts a HoundAbout Pet Trailer into a versatile, all-terrain stroller for pets. Great for long walks or jogs. 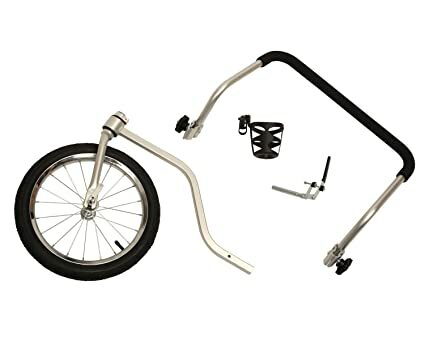 Convert the HoundAbout Trailer into a stroller with this easy-to-install Stroller Conversion Kitincludes a handlebar, 12 in. swiveling wheel, parking brake and cup holder. The PetSafe Solvit HoundAbout Pet Trailer is sold separately. The PetSafe Solvit Deluxe Hammock Pet Seat Cover helps protect your vehicles bench seats from pet hair, dirt, dander and claw damage. Enjoy your car rides with your furry friend without the worry of dirtying your seat. This seat cover has straps that attach to the headrest as well as Sta-Put seat anchors to help hold the cover firmly in place in vehicles of all types. The PetSafe Solvit Mr. Herzhers Cat Litter Pan Cover creates a private litter box destination for your kitty. 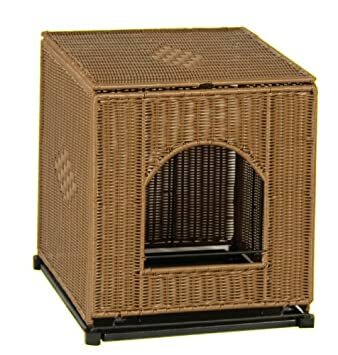 Made of a dark wicker, the Cat Litter Pan Cover conceals your cats litter box and helps mask odor. The front panel releases and drops down for the litter box to slide forward onto the rails for easy cleaning. The catch tray at the base helps protect the floor from litter and potty misses. The wicker material wont absorb fluids or odors and easily cleans with soap and water. Available in two sizes to accommodate most litter boxes. The PetSafe Solvit Wood Bedside Pet Ramp is an attractive and effortless way for pets to reach even the tallest beds. 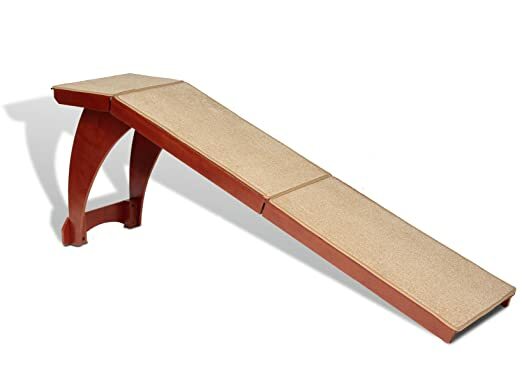 This dog ramp is the perfect solution for pets which are too timid to use pet stairs or pets that have physical limitations that make it difficult to use to bedside steps. At 70 in. long, the PetSafe Solvit Wood Bedside Pet Ramp provides a gentle slope yet fits next to most queen and king-size beds while still leaving room for a nightstand. The top landing area for the indoor dog ramp is generously sized, and the 25 in. height allows easy access to taller beds. The thick carpet provides the perfect amount of traction so your pet has sure footing when walking up or down the ramp. The PetSafe Solvit Wood Bedside Pet Ramp easily assembles in about 15 min. The PetSafe Solvit Half Ramp II is perfect for helping your pet onto shorter raised surfaces and is a great alternative to pet stairs. This ramp is 17 in. wide and 39 in. long and is recommended for climbs up to 18 in. high. 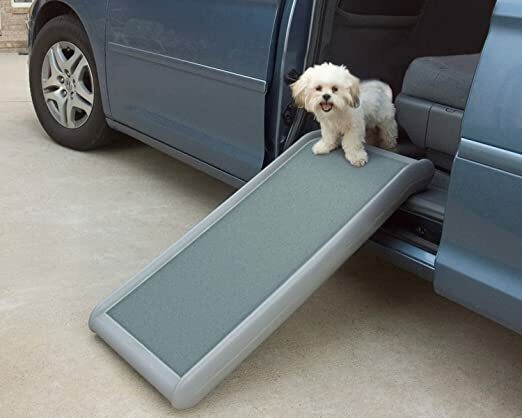 The high traction walking surface helps your pet feel confident and secure while climbing. The Half Ramp II supports up to 200 lb. and weighs a mere 7 lb. making it great for transporting. The PetSafe Solvit PupSTEP Wood Pet Stairs are the perfect solution to help your pet reach their favorite places with ease. 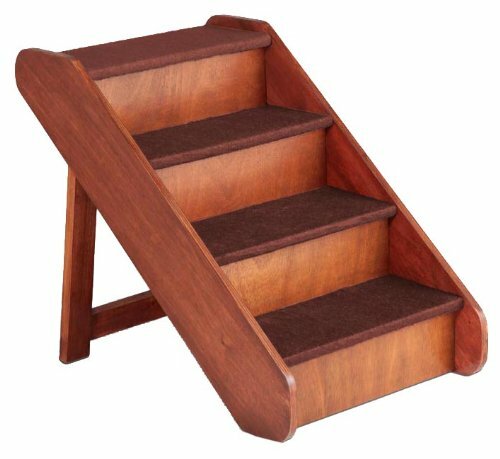 These stairs provide easy access to beds, couches, window sills, vehicles and more. The PetSafe Solvit PupSTEP Wood Pet Stairs are durable enough to hold over 150 lb. The side rails help pets feel secure when using the stairs. The PetSafe Solvit PupSTEP Wood Pet Stairs make life more comfortable for older pets, smaller pets and pets recovering from illness or injury. 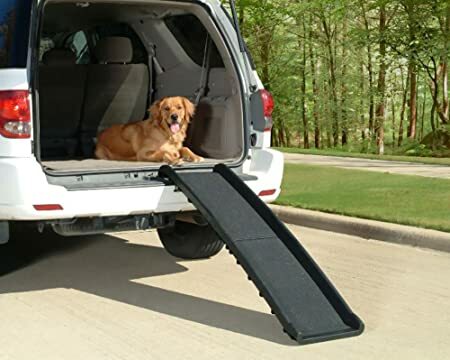 The PetSafe Solvit UltraLite Bi-fold Pet Ramp is an easy and economical way to provide your dog or cat with access to cars, trucks, SUVs and more! The durable plastic construction of the ramp makes it both strong and lightweight. The UltraLite Bi-Fold Pet Ramp weighs just 10 lb. but holds over 150 lb. A high traction walking surface provides a non-slip tread that is easy on pets paws while providing sure footing. Four rubber feet give the ramp stability and the raised rails on either side provide pets with confidence as they walk up and down the ramp. The built-in safety release latch secures the ramp while it is being carried or stored. The PetSafe Solvit UltraLite Bi-fold Pet Ramp is perfect for older pets, smaller pets or pets recovering from illness or injury. 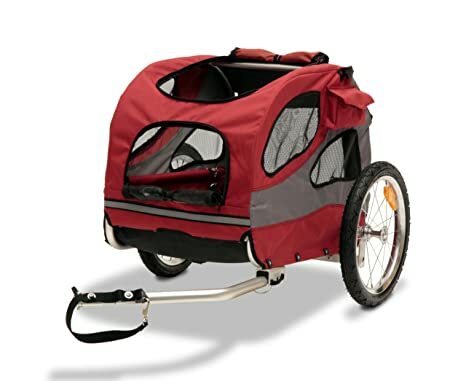 The PetSafe Solvit HoundAbout II Aluminum Bicycle Trailer is a great way to maintain an active lifestyle while spending quality time with your pet. Your pup can enjoy a nice stroll through the neighborhood or in the park instead of staying behind in the kennel. The adjustable safety leash keeps pets secure while riding and you can ride with peace of mind that they wont run off. The trailer is easy for your pet to access with a rear door that fully unzips. Great for older pets or those with joint problems. 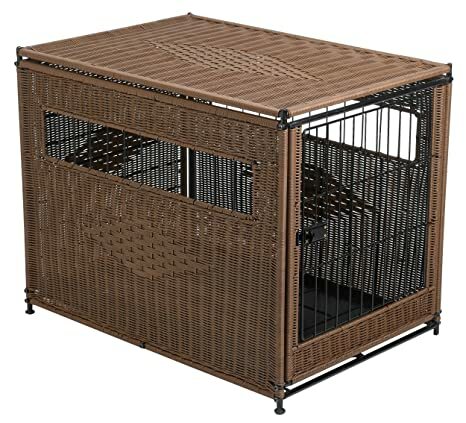 The PetSafe Solvit Mr. Herzhers Indoor Pet Home is stylish indoor crate for your pet. The dark brown wicker design complements most home dcor. 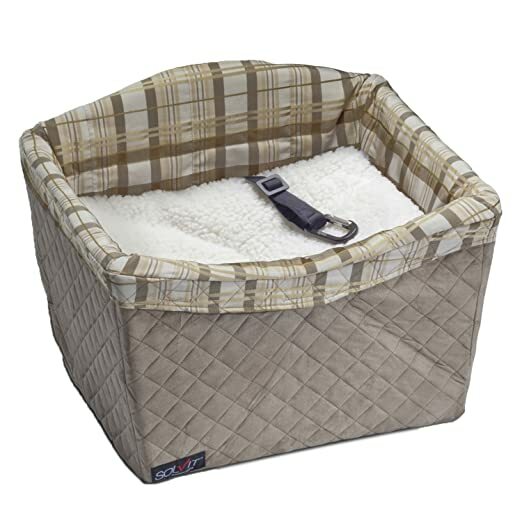 The wicker is non-absorbent and the removable parts easily detach for easy cleaning. The Indoor Pet Home assembles easily and comes in four different sizes to fit your pets needs. 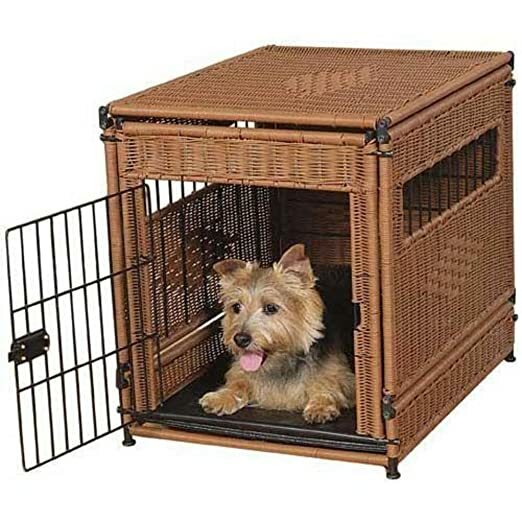 Its spring loaded door latches shut, swings wide open or swings inside latching to the inside wall and out of the way for a great come-and-go pet den. The PetSafe Solvit Full-Coverage Furniture Protectors help protect your furniture while giving your furry friend a comfortable place to lounge. The Full-Coverage Furniture Protectors are made of micro-suede fabric with a stain-resistant treatment and the generously-sized fabric panels provide full coverage of seat back, cushions and arms on most furniture. The plush, quilted main section extends forward to help protect the front edge of your chair or couch cushion. The PetSafe Solvit Full-Coverage Furniture Protectors can easily be removed and stored away when needed. The PetSafe Solvit Pet Safety Seat provides a ride with a view while helping to keep your pup safe. Its unique design elevates your pet off the car seat so they can look out the window with ease as you drive. 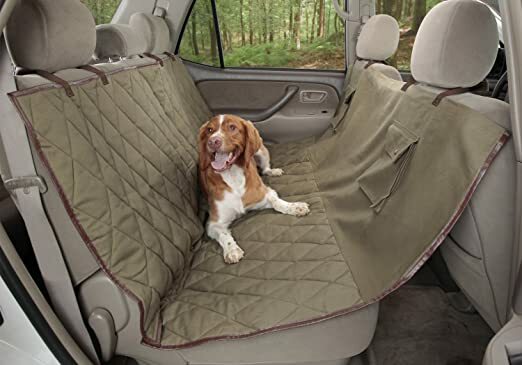 The roomy, fully padded interior gives your dog space to relax. The safety seat quickly installs securely in the front or back seat and has a rigid structure that integrates with the vehicle seat belt to provide added security for your pet. The design has been crash tested in a DOT-approved facility, and the included strength-rated safety tether has been tested to 2,000 lb. The PetSafe Solvit Pet Safety Seat cleans easily to stay looking and smelling fresh. The PetSafe Solvit Premium Bench Pet Seat Cover helps protect your vehicles bench seats from pet hair, dirt, dander, liquids and claw damage. Enjoy your car rides with your furry friend without the worry of dirtying your seat. This seat cover has elastic at the sides and front as well as Sta-Put seat anchors to help hold the cover firmly in place in vehicles of all types.